On May 14th, Laurin Liu, Canadian Member of Parliament representing Rivière‑des‑Mille‑Îles, tabled a motion (M-610) to establish a national strategy on eating disorders and body image (as reported by TBM here). The initiative follows her campaign called 'Let's be real'; the website includes a call-to-action video and message. The website also has a petition which supporters can sign. Globally, several jurisdiction have taken steps to combat body image issues related to representations of women and girls in mainstream media. Denmark, France, and New York State have each taken different approaches. What does Laurin Liu have in mind? We chatted with her to find out. The Business Model: For readers unfamiliar with the parliamentary process, what will be done once the petition has gathered enough signatures? What kind of legislation do you ultimately hope to achieve with this motion? Laurin Liu: I launched the website (berealCanada.ca) in order to raise support for more body diversity in the media and for the creation of a national strategy on eating disorders. I’ll be informing the Minister of Health on the number of signatories to the petition, and encouraging those who have signed to write to the Minister in favour of a national strategy on eating disorders. My office can be contacted for sample letters to the Minister (Laurin.liu@parl.gc.ca). My motion aims to address some of the many challenges to accessing treatment for individuals with eating disorders. These barriers include health care providers with inadequate training in the field of eating disorders; lack of treatment programs; inappropriate treatment programs; lengthy wait times; and insufficient research into potential treatments. The strategy also aims to encourage young people to develop critical thinking with regard to current standards of beauty in society and reduce social prejudices about weight. Eating disorder advocates have been asking for a national strategy for years, as wait times for [eating disorder treatment] have increased across the country. As a young woman in politics, I think that it’s important to shed light on this critical health issue affecting women and girls that is so often overlooked and that continues to be overshadowed by prejudice and misunderstanding. TBM: Were you inspired by similar initiatives in other countries (France, Denmark, etc.)? If so, what features/strategies do you hope to emulate or avoid? LL: As a Montrealer, I was inspired by a campaign launched in Québec that had organizations from civil society, healthcare sectors and industry sign onto the Charte québécoise pour une image corporelle saine et diversifiée (Quebec Charter for a Healthy and Diverse Body Image). The campaign denounces images perpetuated in the media that correlate beauty ideals with emaciation, and aims to raise awareness about the need for more diversity in the media as well as around eating disorders. While my motion does not address the modelling industry in particular, as has been the case for some initiatives in France and Denmark, educating Canadians about body image and unrealistic body standards perpetuated in the media will inevitably help to feed critical discussion around the images produced by the modelling industry – and hopefully, a change in popular attitude surrounding body image. TBM: Do you anticipate any opposition to the bill from other Parties, business interests, etc.? LL: I hope to get all-party support for my body image campaign and for my motion. I’ve gotten support from many eating disorder and body image advocates across the country, and I’ve spoken to individuals in the modelling and media industry. I think that the message is increasingly clear for industry: that portraying women of diverse shapes and sizes has little to no impact on the bottom line. Studies (such as this) have shown that women are no less likely to purchase products when average-sized women are depicted in advertisements. 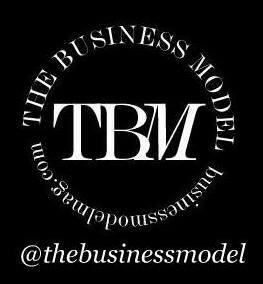 TBM: Globally, models tend to be disregarded as workers. In addition to ameliorating body image pressures on consumers, do you think that this motion can be the beginning of a step towards stronger regulation protecting models in their workplaces? LL: I think that models are having an increasing say on the direction in which the industry is going. I recently spoke to Torontonian Jessica Lewis, who has worked both as a plus-size and [straight-size] model, and who is shedding light on how plus-size fashion is impacting the modeling industry and society at large. Magazines such as Dare, Canada’s first plus-size magazine, are responding to the need to have more plus-size fashion publications. Pressures to continuously lose weight and to be unrealistically thin are just one of the hazards in the modeling workplace. I think that it’s important that models are aware of their rights, and that awareness be raised around exploitative practices in the industry. We need to work to make sure we have a thorough conversation around improving health standards in the fashion industry. Learn more about the campaign here. Contact Ms. Liu's office here. Follow her on Facebook, Twitter, and Instagram, and visit her website.